Called by H.L. Mencken, "one of the few economists in history who could really write," Henry Hazlitt achieved lasting fame for his brilliant but concise work. In it, he explains basic truths about economics and the economic fallacies responsible for unemployment, inflation, high taxes, and recession. Covering considerable ground, Hazlitt illustrates the destructive effects of taxes, rent and price controls, inflation, trade restrictions, and minimum wage laws. 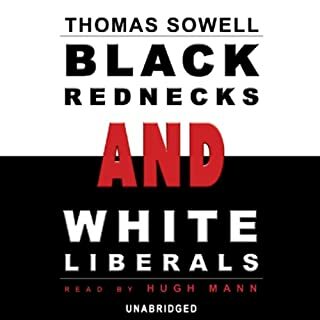 And, he writes about key classical liberal thinkers like John Locke, Adam Smith, Thomas Jefferson, John Stuart Mill, Alexis de Tocqueville, and Herbert Spencer. This book provides an elementary lesson in Economics. It's a plea for free market economics and only for government to intervene when it's absolutely necessary. It shows up economic fallacies like trying control prices, rent controls, subsidizing farmers, unions and protectionist activities and lots of other things. 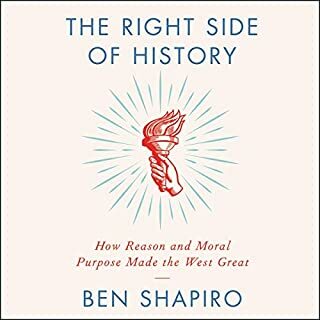 This book really made me think and change some of my views. Full of surprisingly useful facts that I never considered before while mindlessly watching political debates and reading the news. Now I am in a much better position to question all government policy and consider the forgotten man. 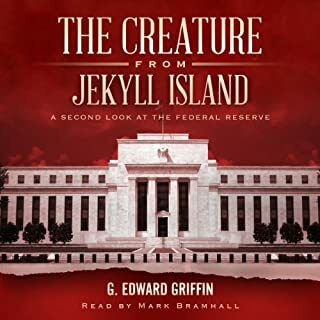 An Excellent narrator. Very clearly written message. Hard to believe how relevant it is today. Flawed, but still an interesting read. Whilst interesting from a historical point of view, the ideas in the book have become dated. 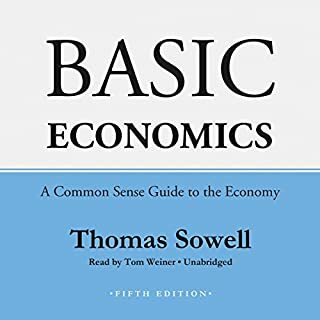 The book is not a basic introduction to economics, but rather a dissection of many economic policies (mainly from the middle of the 20th century, and not terrible applicable to 21st century England). The book is espouses a view point that was popular in 1970?s American right-wing economic thinking. Whist great in theory many of the augments don?t hold up in the real world, and there are also some inconsistencies between his own ideas within the book. Where the book really falls down is to mistake economics for an exact science, and to suggest policies based purely on theory. If it was less preachy, had even the slightest bit of supporting data, and slightly more aware that it was dealing with theory not real-life, it would have been great. Never-the-less an interesting read. I heard Mike Rowe talking about this book on his podcast so I gave it a whirl. unfortunately it's not as neutral as so thought .. pretty much a libertarian propaganda piece. Not very entertaining either, I commend the voice actor for making the best of it. This book is a wonderful introduction to Economics for those (like myself) unfamiliar with the field. 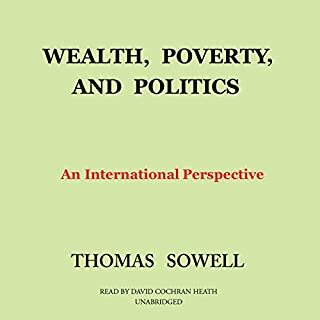 The author clearly and logically illustrates economic principles by examining what he takes to be the major economic fallacy of modern times: That all public spending and intervention is only good, and has no secondary consequences. Mr. Hazlett sets out his one lesson in the first 20 minutes, and then uses the rest of his effort to illustrate using easily understood examples and actual scenarios. This contact with reality is refreshing for those wearied by the large amount of theoretical illustrations employed by other economists. 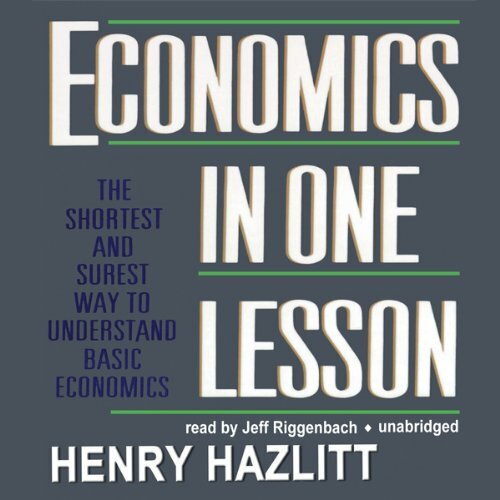 Although his views will be out of favour with many North Americans and their increasing devotion to government spending & protectionism, Hazlett presents a surprisingly balanced case for his one lesson. As the examples unfold, we are reminded that unions are NOT always bad, government spending is NOT always bad, we DO need to consider those who have lost work due to large scale shifts in the workplace due to technology. The one lesson comes back to it's origin: There are consequences to our actions. We are encouraged to consider those consequences, think first, and then act. This is a bad thing? The book explains sophisticated concepts in very understandable terms. It helped me analyze the strengths and weaknesses of various economic actions even though I had no real prior economics training. A must for lawyers, investors, or any person who uses money in society. 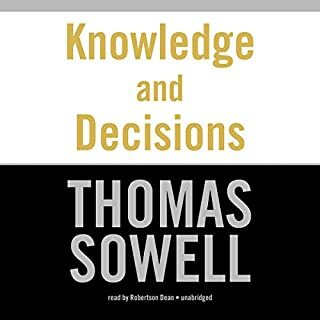 While this book has a hugely conservative bent and doesn't take into account the value of any other economic ideas. It is a very good overview of the major arguments with which macro-economists work. 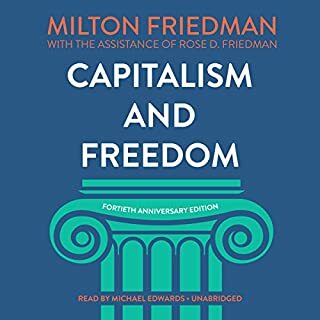 It is quite insightful in some of its analogies and comparisons, and sure to be mind-expanding for those unfamiliar with economics. 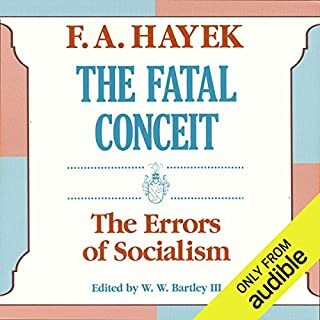 This book is excellent as it takes the myths that people have about economics and gives instruction on the falsehoods of those statements. Myths people have such as "War is good for the economy" etc. are expertly handled. This book was written some time ago and stands the test of time. These principles ring true years later. 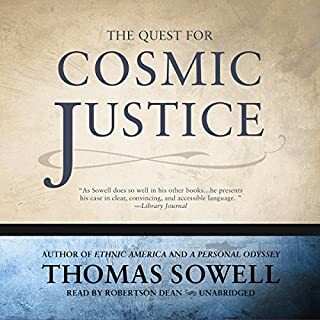 If you want to continue to believe that you can get something for nothing or that through higher taxes and more government spending you will have a greater society then don't buy this book. If you want to understand the truth of economics then look no further. Should be required reading in every school. 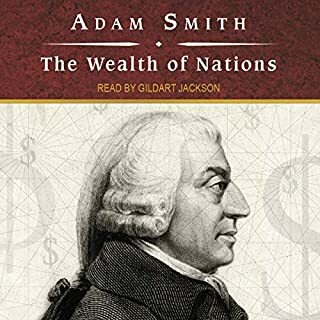 As Hazlitt states, economists must simply throw up their hands trying to teach anyone when the bulk of the population has not even progressed an understanding of what Adam Smith wrote in the 17th century. 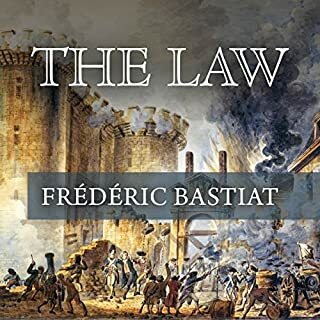 Reading this book should be required prior to any citizen of any country being allowed to vote. 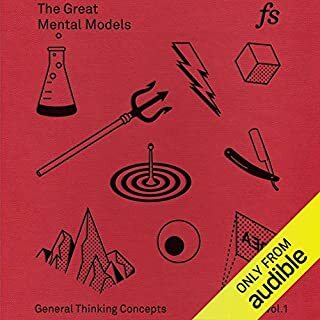 This book, along with "Innumeracy" by John Allen Paulos, are the first two I read that have led me on a journey of voracious non-fiction reading to learn more about the myths I've been told and convinced to believe. From there to Sowell and Friedman, and beyond, economics informs (well, ... should inform) politics the way mathematics informs physics. 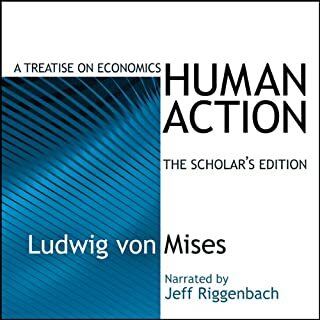 Would you consider the audio edition of Economics in One Lesson to be better than the print version? 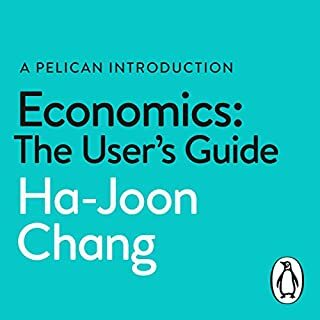 What other book might you compare Economics in One Lesson to and why? 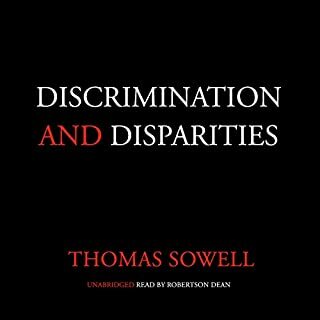 Basic Economics by Thomas Sowell is equally brilliant. What insight do you think you’ll apply from Economics in One Lesson? This book is all you need to know about economics and nothing you don't. This is the best primer on economics ever. 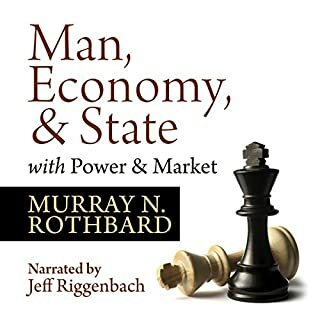 If you know nothing about economics you must listen to this book. This book explains how the economy actually works. It is as timely today as it was 30, 40 or 50 years ago. What did you love best about Economics in One Lesson? This is a great refresher of basic economic principals. It takes the tact of refuting economic fallacies proffered by politicians pandering to various special interests and the broad voting class with little or no understanding of economics. While the book is somewhat dated in context having been rewritten in the late 1970s, the principals are intact. In fact, there are frightening correlations for our current state and many statements that foreshadow turmoil we have since encountered. Economics should be taught in every high school and probably required before we receive the right to vote. Dumb title, awesome content. For anyone interested in the truth about economics and government intervention. Hazlitt doesnt get caught up in numbers. Just the truth about economics and unintendend consequences of free market interventions. Great book for people just starting out with economics OR people already schooled in it. Suits the whole range. What did you like best about Economics in One Lesson? What did you like least? I mistakenly thought this was a basic textbook on economic theory - a good starting place or refresher. But it's not. Instead, it's a series of of arguments in favor of post-WWII conservative economic policies. It doesn't start with "what is economics" like a real course, but dives right into critiques of high taxes, big government, etc. It makes some good points, but it's so one-sided that it seems untrustworthy. Also, it's from the mid-1940's, and some of the proposals are obsolete. 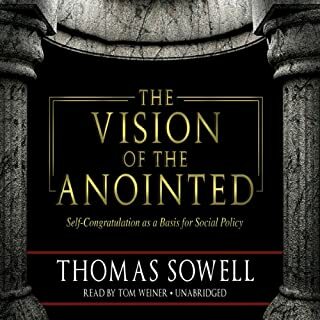 If the author had limited himself to teaching basic economic theory, the book would have aged better, but since he's arguing for specific doctrines, it's out of date. If you're very conservative, you might like hearing these arguments for what you already believe. If you're looking for an even-handed objective book on economic theory, I don't recommend this. If you could sum up Economics in One Lesson in three words, what would they be? What was one of the most memorable moments of Economics in One Lesson? 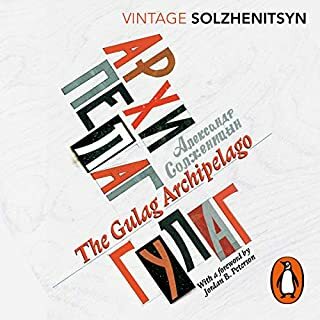 While you listen to Hazlitt expound upon the mistakes of 1940's America, the darkness closes in on you as you realize that none of the lessons have been learned and that the same mistakes are being repeated. And not just repeated, but repeated with grandeur as Hazlitt predicted 70 and 40 years ago (the book was revised in the 1970's but not much). What about Jeff Riggenbach’s performance did you like? He has an engaging and professional voice.